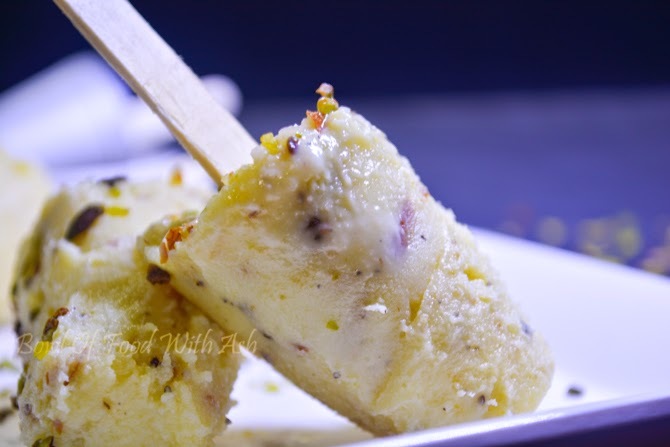 Malai Kulfi is frozen Indian dessert,Indian Ice cream traditionally made by reducing Milk. I have added Condensed milk too. This gives Smooth and Creamy texture. We loved Kulfi as kids and even now :). During those days Kulfi wala used to come ringing bell. We kids used to beg money from parents and run to the street to buy it. We never cared anything about hygiene, never cared what those are made of . We just enjoyed eating. That was real fun. Today I made this specially for my sis. 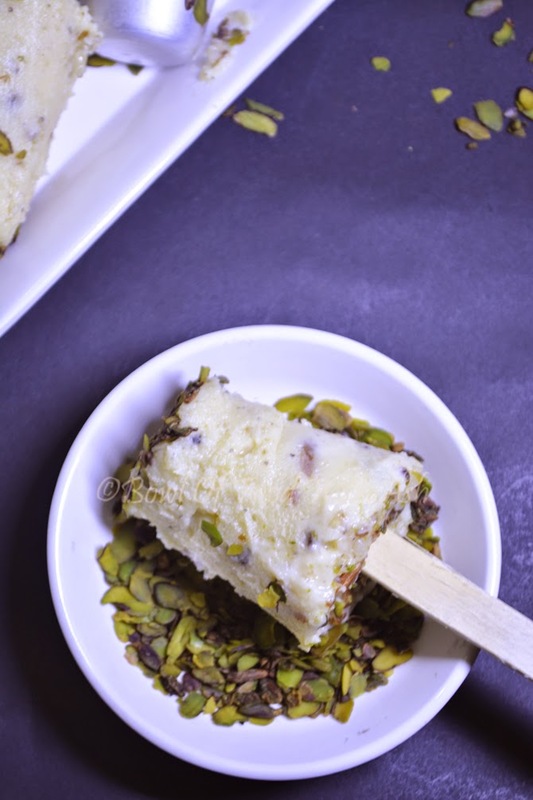 She is not fond of desserts, but last time when I had made Kulfi , she had really liked it. I guess no one will hate Kulfi :). 1.Heat Milk in wide pan. When it comes to boil reduce the flame to low. 2.Now add the condensed milk to it and mix well. 4.Add Sugar and cardamom Powder to it. 5.Keep stirring in between so that milk will not get burnt. 6.Scrape from sides and keep mixing well. 7.When it slightly becomes thick, add slightly powdered nuts of your choice and mix well and switch it off. 8.Allow it to cool.It will thicken once cooled. After cooling, consistency should be slightly thinner than condensed milk. 9.Now pour the kulfi mixture to any stainless steel vessel or stainless steel kulfi moulds and freeze. 10.Freeze for atleast 6 hours. Overnight is better. 11.Insert the kulfi stick in the center and hold kulfi mold under warm water for 2 to 5 seconds. 12.Kulfi will come out easily . 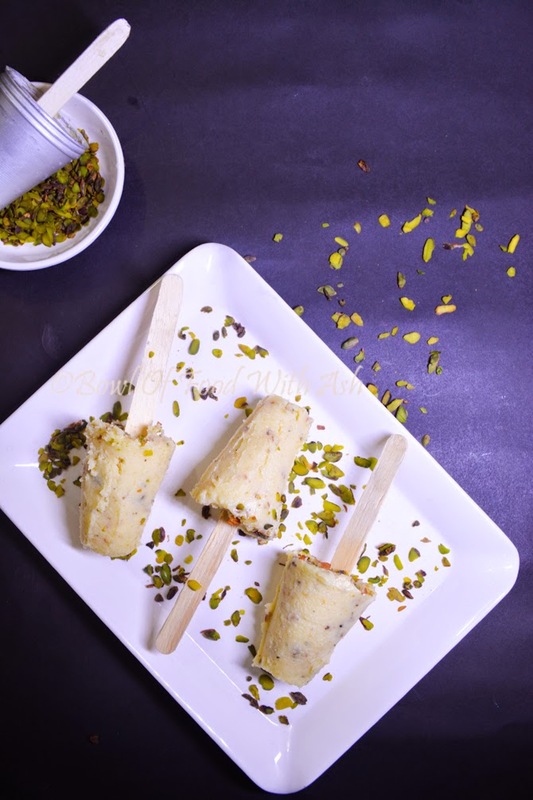 Enjoy delicious kulfi. 1.You can make a paste of milk powder with milk and then add. 2.Vary sugar according to your sweet tooth. 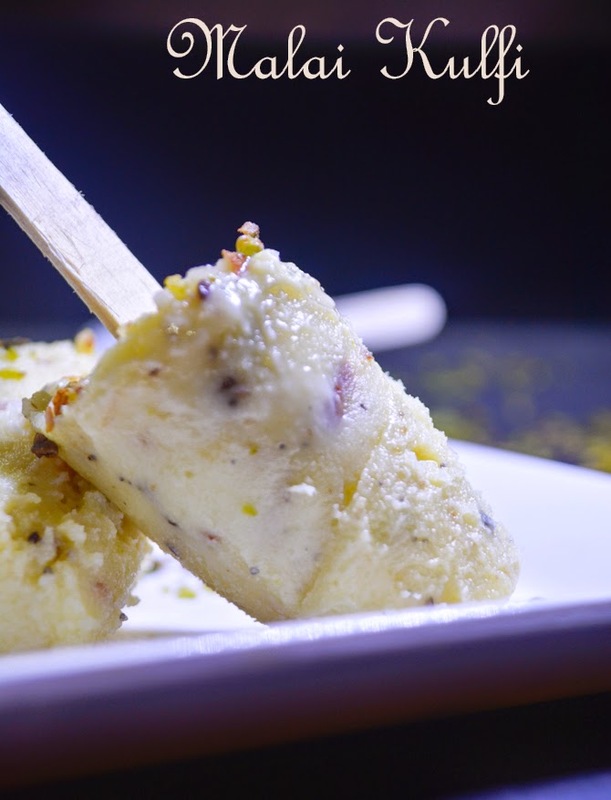 3.Consistency should not become very thick , then kulfi will not freeze . If it becomes thick after cooling, not to worry. Just add warm milk and mix well.